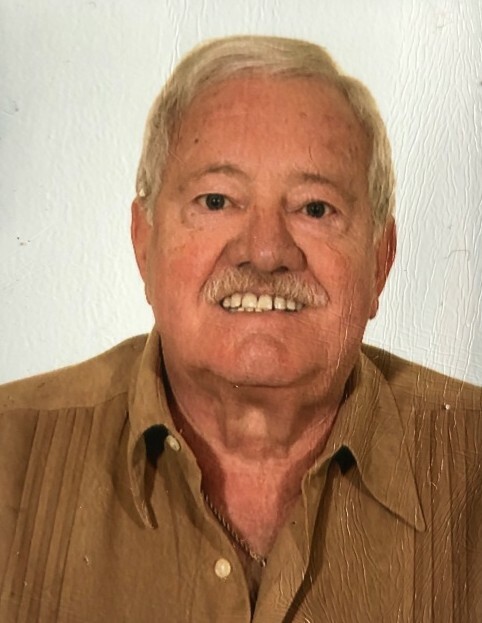 Ignacio Astondoa, 82, of Mount Vernon, NY died on February 13, 2019, after an extended illness. He was born on September 12, 1936 in Pamplona, Spain to the late Dámaso Astondoa and María Jesús García. Ignacio, known as Iñaki, was a professional entertainer who traveled the world singing with the musical group Los Iruña’ko. He delighted people through his music and sense of humor. Iñaki is survived by his devoted wife, Awilda (Willie) Astondoa (née Vázquez) and his loving daughters, Wendy Finerty (Dennis) and Christine. His beloved daughter, Audrey, predeceased him. He is also survived by his four cherished grandsons Tyler, Brendan, Connor and Sebastian. Iñaki was predeceased by his sister María Jesús Astondoa and brother-in-law José María San Roque. He leaves a large extended family in Spain, which includes his sisters María Antonia (Jesús María Alonso), Marisol and María José Astondoa, brother-in-law Manuel Archanco as well as many cousins, nieces, nephews. Iñaki will be fondly remembered by all who knew him for his love of family and friends, his native Spain and his extraordinary singing voice and larger than life personality. Visitation will be held on Monday, February 18, 2019 from 4 to 8 pm at Yannantuono Burr Davis Sharpe Funeral Home, 584 Gramatan Avenue, Mount Vernon, NY 10552. The funeral mass will be celebrated on Tuesday, February 19, 2019 at 10:00 am at Sts. Peter & Paul and St. Ursula Church, 129 E Birch Street, Mount Vernon, NY 10552. In lieu of flowers, donations may be made to Memorial Sloan Kettering Cancer Center.